Charlie HATES chores!!! He refuses to be his dad and grandpa and build dams, but does Charlie have what it takes to be a tramp? Charlie is tired of chores and doesn’t want to grow up to be a beaver and build dams. He wants to be a tramp. Charlie the Tramp is a very sweet classic story that holds up to the years. 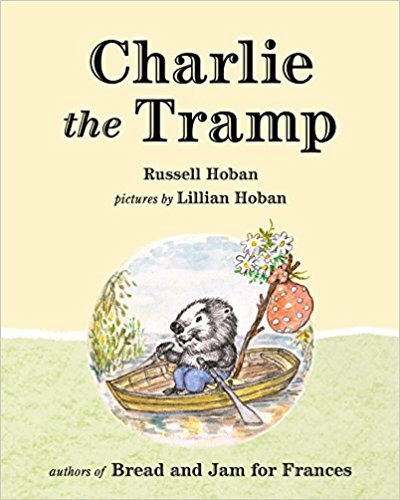 I loved this book as a child, and I know my daughter would have related to Charlie. Who wants to do chores? Who wants to do what they’re told all the time? And who works harder at playing than they ever did at chores – children! Whimsical illustrations make it even better. Very relatable fun story that opens up good conversations. I received this book as an Advanced Reader Copy (ARC) from NetGalley. My opinions are my own.